Ready, set… Go! The weather might be turning cooler but that doesn’t mean you can’t get out there and have a BBQ! This week’s recipe is perfect for any time of year! 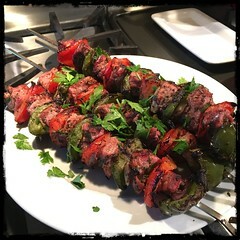 Veal and Vegetable Skewers, try it tonight!